How soon should a building under construction put their sprinklers in service? Society has had fires in buildings under construction since we first started building them. Buildings in the course of construction have many additional fire hazards not found in completed structures. Fire protection equipment to restrict the spread of fire and extinguish it promptly has not yet been installed. Fires are also often difficult to access by the fire department. Every opportunity exists for serious fire loss. NFPA 241, Standard for Safeguarding Construction, Alteration, and Demolition Operations is a unique standard in that it’s not a “brick and mortar” standard but a standard about the process of putting the “brick and mortar” in place. Last week I covered this topic during my NFPA Live, an exclusive for NFPA Members. During the live event I got this follow-up question. I'm now sharing it with you. I hope you find some value in it. Also, check out our free bulletin on preventing construction site fires. 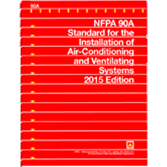 Deadline for Public Input for NFPA 1082 - New Standard for Facilities Safety Director Professional Qualifications. 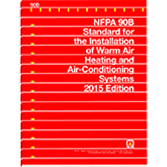 On April 5, 2017, the NFPA Standards Council approved a new standard for Facilities Safety Director Professional Qualifications and placed it in the Annual 2019 cycle. The closing date for submitting public inputs is July 28, 2017 which is just a month away! Ok, I have to evacuate, but where should I go? This is a brief summary of the third in the ten part series on personal disaster planning available in the December 2016 issue of e-ACCESS. NFPA’s Emergency Evacuation Planning Guide for People with Disabilities deals with the events, notification and your personal evacuation plan to get out of the building that you’re in. The distance you need to go to be safe will vary greatly depending on the incident. A waste basket fire may mean that you only have to leave the room, but a hurricane like Katrina or Sandy may mean that you’ll need to travel tens or even hundreds of miles to get to a safe place. Once you’re out, you may need to get to some temporary shelter. It might be close like with neighbors, friends, family or a rented place like a hotel or other facility, but it could be much further. NFPA’s Emergency Evacuation Planning Guide for People with Disabilities only covers the first three rings of the “Incident Area Model”. What about the other five rings? If the incident necessitates that you move further out into rings 3 through 7, your plan will need to get more robust as the incident involves a larger and larger area. Planning ahead of time is crucial. What about a flood? Again, hurricanes Katrina and Sandy not only caused damage from strong winds, but are examples of the impact that subsequent flooding can have over very large areas that are relatively flat. Even in areas that are far from the ocean or those at high elevations flooding can be dangerous. Vermont has had numerous flash floods from torrential rains that have caused flooding and major damage in narrow river valleys destroying homes and bridges. In some cases the only viable evacuation route was to go up to higher elevations and also limiting the number potential shelters. So how far would you personally have to go for each of the incidents that you might be affected by? Each incident will likely require a different plan. It’s never too early to start building your plan! Some plans, by necessity, will be much more complex than others. You don’t want to wait to evacuate!! In the next issue I’ll talk about planning for where you’ll stay once you get a safe distance from the incident. Equally important is how long you’ll need to stay there before you can get back into your home. We’ll discuss that in the next issue. You can subscribe to e-ACCESS for free and see all the archived issues, just click here. Established in April of 2015 the Technical Committee on Building Fire & Life Safety Directors held its first face-to-face meeting at NFPA Headquarters November 8-10, 2016 after holding a number of online meetings over the past year and a half. This committee is charged with the development of multiple national standards related to facility emergency action plans and the professional qualifications for facilities safety directors. First, “This committee shall have primary responsibility for documents related to the duties, requirements, and competencies required of Facility Safety Directors. Second, “This committee shall also have primary responsibility for the establishment of minimum requirements for emergency action plans addressing all-hazard emergencies within occupied structures having an occupant load of greater than 500", except for industrial occupancies. At its November 8-10, 2016 meeting, the committee developed chapters on definitions, reference documents, administration and “job performance requirements” (JPR’s) by which facilities safety directors will be measured and tested for certification. They developed seven (7) duties for the position under which are contained some twenty-nine (29) tasks. Their draft document will be sent to NFPA’s Professional Qualifications Correlating Committee in early December and then to NFPA’s Standards Committee to be placed in cycle and posted to receive public inputs. Watch for further news in the coming months. The Committee currently has eighteen (18) principal members and three (3) alternates. This is a very large and important project and we'd like to see a full committee of thirty (30) members and thirty (30) alternates including people to represent the various disability communities. Applications for membership can be completed online at: Building Fire & Life Safety Directors (BLF-AAA). The intention is that the draft will be presented to the Pro Qual Board late this year and then to the NFPA Standards Council in April, 2017 for entry into cycle for public input. This committee has primary responsibility for documents related to the duties, requirements, competencies and professional qualifications required of Building Fire and Life Safety Directors. This committee also has primary responsibility for the establishment of minimum requirements for emergency action plans addressing all-hazard emergencies within occupied structures having an occupant load of greater than 500. This committee shall not have responsibility of such qualifications, roles, responsibilities, or emergency action plans within industrial occupancies. Emergency evacuation planning - Ready, set, go!!!!! This is a brief summary of the second in the ten part series on personal disaster planning available in the September 2016 issue of e-ACCESS. Pre-planning for disaster events is critical as the planning time required for almost all of these events will take many, many times longer than the actual warning time you’ll get that the event is coming. When it comes to any of those disasters, whether natural and man-made, do you know how much warning time you’ll really have and how you will receive that warning? Knowing and understanding the answers to these two questions may well be critical to your safety and survival. Have you ever thought about these questions or the answers? The answers clearly emphasize why you need to take some responsibility for your own safety and make your preparations now, long before any event takes place. Fire –Wildland: Normally, fire danger rating systems provide a 4- to 6-hour early warning of the highest fire danger for any particular day that the weather data is supplied. Earthquake: Studies of earthquake early warning methods in California have shown that the warning time would range from a few seconds to a few tens of seconds, depending on the distance to the epicenter of the earthquake. Flood: Flood watches, which are the first level are issued when conditions suggest a possibility of flooding, or if flooding is anticipated within 12-48 hours. Hurricane: The warning is issued 36 hours in advance of the anticipated onset of tropical-storm-force winds to allow for important preparation. Tsunami: Simulations from the Cascadia Subduction Zone just off our coast show that an initial tsunami wave can reach the coast in 20 to 30 minutes - so time is limited. Geologic history showed waves can be as high as 30 feet. So you must get at least that high above sea level. Lightening: You are in danger from lightning if you can hear thunder. Because light travels so much faster than sound, lightning flashes can sometimes be seen long before the resulting thunder is heard. When the lightning and thunder occur very close to one another, the lightning is striking nearby. To estimate the number of miles you are from a thunderstorm, count the number of seconds between a flash of lightning and the next clap of thunder. Divide this number by five. Volcanic eruption: It is impossible to predict the date of an eruption. Volcano warning systems are based on a probability of an eruption or hazard. There are two main volcano warning systems - color codes, and alert levels. Warning systems are specific for each volcano. We need to think hard about these warning times. Could you develop a plan to get you and your family to safety between the time you get the warning and the time the event occurs? I know I couldn’t. This is why pre-planning is so important. NFPA is proud to again participate in the United States Senate Sergeant at Arms, Office of Emergency Preparedness’ 10th annual Emergency Preparedness Month Fair in the Hart Senate Office Building on Friday, September 23, 2016 from 9:00 a.m. – 2:00 p.m. in room SH-902. The purpose of the Emergency Preparedness Month Fair is to educate Senate staff on the importance of emergency preparedness not only here at work, but at home as well. This is accomplished by inviting representatives from our various internal offices and many local emergency management agencies and response teams from around the National Capitol Region to share information and resources with Senate staff, and educate them on steps that they can take to recover quickly after an emergency. This event has increased in popularity over the years, and it is anticipated that upward of 300 attendees, up from 200 last year, will be there throughout the day. It is expected that Senate staff will attend the event, with the majority from Senators’ personal Washington, D.C. offices. In addition, staff from Senate Committee, Leadership, and a variety of support offices such as the Sergeant at Arms and Secretary of the Senate are likely to visit during the event. Staff from other legislative branch organizations such as the United States Capitol Police, Library of Congress, and the Architect of the Capitol may also attend. NFPA’s Disability Access Review and Advisory Committee’s concept is going global! The former Chair of NFPA’s DARAC, Bill Scott, constantly said that “All people, regardless of their circumstances, have some obligation to be prepared to take action during an emergency and to assume some responsibility for their own safety.” It was the inspiration for NFPA’s very successful Emergency Evacuation Planning Guide for People with Disabilities. The 2nd edition, which was just released on June 1st, 2016, has set off a huge new round of downloads and has truly gone global. As the “Guide’s” author, I presented an education session at NFPA’s 2016 Conference & Expo in Las Vegas, June 13-16-2016. It was a packed room with a diverse and very engaged audience. Among the attendees was Mr. Rob Llewellyn of the Fire Protection Association Australia and the Confederation of Fire Protection Associations – Asia. Mr Llewellyn had read the 2nd edition of the “Guide” a few days after its release and came to C&E looking for more information on NFPA’s statistics related to the creation of the “Guide” and other information from NFPA. The Confederation of Fire Protection Associations - Asia (CFPA-A), is a body of leading fire protection organizations from the Asia - Pacific Region who collectively direct their resources at reducing the global fire problem and increasing life safety. Member Countries/Regions are: Australia, China, China - Hong Kong, India, Indonesia, Korea, Malaysia, New Zealand and Pakistan. Join the global movement! Download the free 2nd edition of the “Emergency Evacuation Planning Guide for People with Disabilities”.